Founded in 1853 as the first scientific institution in the American West, the California Academy of Sciences is based in San Francisco and is the home to a number of public exhibits and eight scientific research departments. 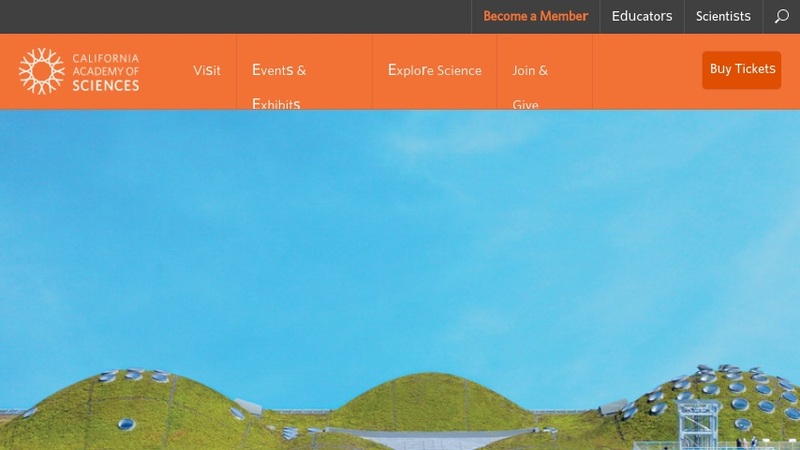 The Academy's online presence is quite prodigious, and contains copious information about its various outreach activities, its lecture series, and of course, its natural history museum. The homepage allows entry to many of these features, including the AntWeb, which warrants at least one detailed visit. The AntWeb serves as a clearinghouse of information on the ant faunas of both California and Madagascar, and visitors can learn about these different creatures here. Another nice feature is the "Science Now" area of the site. Here visitors can learn about the various research projects underway at the Academy, such as those projects on the dart frogs of Suriname.